The definition of country music or indeed Americana varies immensely with conflicting views everywhere. However, if your view is that such music should be about real subjects, unpolished and delivered with passion and sincerity then you will fall in love with this album. Recorded in East Nashville there is no trace of trucks, drinking or other such subjects that appear so much in vogue amongst the country establishment. Production which is by two of the band members is unfussy with a range of styles on show with traces of Ron Sexsmith, Will Kimbrough and Dawes (especially on the track entitled “Sometime”) in clear evidence. There are a range of instruments to be heard including steel guitar, banjo, harmonica and on one track a drum machine. All eleven songs are about the human condition with the opening track “The Morning Song” being one about the simple joys of making love. This is followed by “California” another love song but this time an upbeat one about that state with name checks of such places as the famous Troubadour club allowing you to drift into a happy place of sunshine. 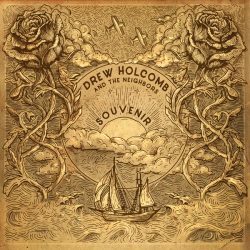 Drew Holcombe has a hand in writing most of the eleven songs on show here but the well of ideas has been shared with his bandmates which undoubtedly enhances the loose and relaxed feel. The main example of that is “The Yellow Rose Of Santa Fe” written by band member Nathan Dagger which is a wonderfully expansive piece about an ex lover conjuring up images of New Mexico in the style of Marty Robbins’ “El Paso” but with more class. “Black and Blue” is a cracking duet with Drew’s wife Ellie and in “Mama’s Sunshine, Daddy’s Rain” we have a true to life song about a child growing up with a great shuffle beat. The album is closed by “Wild World”, one of the best socially conscious songs you will hear which is bang up to date referencing fake news, the imperative to think for yourself and the most obvious but often ignored fact that we are all the same and deserve respect. Listening to this album is a life enhancing experience – enjoy.